WhatsApp Group Chat – How can Recruiters be sure if Candidates are genuinely on bench? In the Talent Acquisition profession that most of us as Talent Acquisitionist are passionate about we’ve certainly come across all types of Applicants. Be it Candidates serving a notice period, fresher’s applying for employments, candidates employed as interns, job seekers and the topic of discussion candidates on bench. All of these have one thing in common and that is there’re all Interviewees seeking better opportunities to advance in their career. There you have it all the solutions that can ensure that Candidates are genuinely on bench. Now doesn’t this make the process easier and speed up the hiring process? So now you too and find the answer to your query, if you’re in the same scenario. In the meantime be sure to leave your views in the comments section as we’re looking forward to them and follow us @SourcingAdda to gain real time insights on our upcoming events and activities. WhatsApp Group Chat – What are the tactics Recruiters use to get immediate joiners with 3 months of Notice Period? Talent Acquisitionists usually deal with immediate joiners having a notice period. As Talent Acquisitionists we’re all familiar with the concept of notice period and on an average a Candidate has a three months’ notice period. But what do you do when you have a pipeline of immediate joiners with 3 months of notice period when you’ve got positions to fill immediately? Ever wondered how to tackle such a scenario especially when it is bulk or volume hiring? Offering JB might provoke the candidate to reduce NP but up to a certain extent as it’s not their decision. Except for Handover of any pending deliverables they should relieve A.S.A.P. Knowledge leakage can be a huge threat; company intellectual property is the biggest theft at this point in time. Employers mostly prepare agreements that are one sided. As Agency Recruiters you have more flexibility by negotiating with the Client while explaining the scenario and convince them to modify their hiring procedure if required. Don’t Process CV with NP of 90/Days unless you have Predictive Hiring Requirement/Pool Hiring as there is an 80-90% probability of declines is much higher. Business can’t lose billing for 3Months, it’s better to go for Immediate Joiner with Premium Pay. Understand that JB or buyout is the decision of candidates but reducing the NP is decided by the organisation and management. What JB can’t, Jack Daniels (JD) can. JD means meet your candidate for a drink, lunch or dinner and it worked in most cases. We must have “Employment at Will” where both employer and employee can leave without prior notice and get pay till last working day. Deferred Bonus is a good idea to encourage candidates to join early if linked to a project deliverable. Add a “Deferred bonus” clause where the JB can split and candidate is eligible for half when he completes 6 Months and the other half in 1 yr. The awareness about minimum notice period and guidelines /laws will help to minimise the practice of abscond, early release, unnecessary JBs and waiting for long period to join new employers. There are several things that can prevent a Candidate from joining your organisation early or vice versa. Sometimes even the circumstances of the Candidates importance at the currently employed organisation may have a bearing on the joining ratio hence it is essential to find out more about the candidates responsibilities. So here are a few aspects to consider in either of the cases. No 100% sure if the notice period can be negotiated unless the candidate is willing to do the same if provided with the favourable situations. When using the buyout option ensure the Candidate is on Bench or not carrying much dependability, else the organisation won’t approve this option. Well there you have it, all the information that you will need to act when you’re in a scenario where immediate joinees without 3 months’ notice period is had to catch. So if you’ve liked this discussion then ensure that you join us for them by following us @SourcingADDA. The Talent Acquisition Industry has constantly been debating about whether Candidate feedback is to be given or not. And if yes, how should it be given especially in rejection cases. Handling rejection can be difficult on both parties involved in the hiring process, the Interviewer and Interviewee. The Interview being the candidates foot in the door to amazing opportunities if selected. Moreover most Recruiters usually tend to miss out on conveying the feedback to the Interviewed Applicant on time due to their mountain of tasks at hand. Giving feedback in the right manner in a way that Applicants aren’t discouraged from their job hunt is absolutely essential but overlooked by Recruiters on the whole. 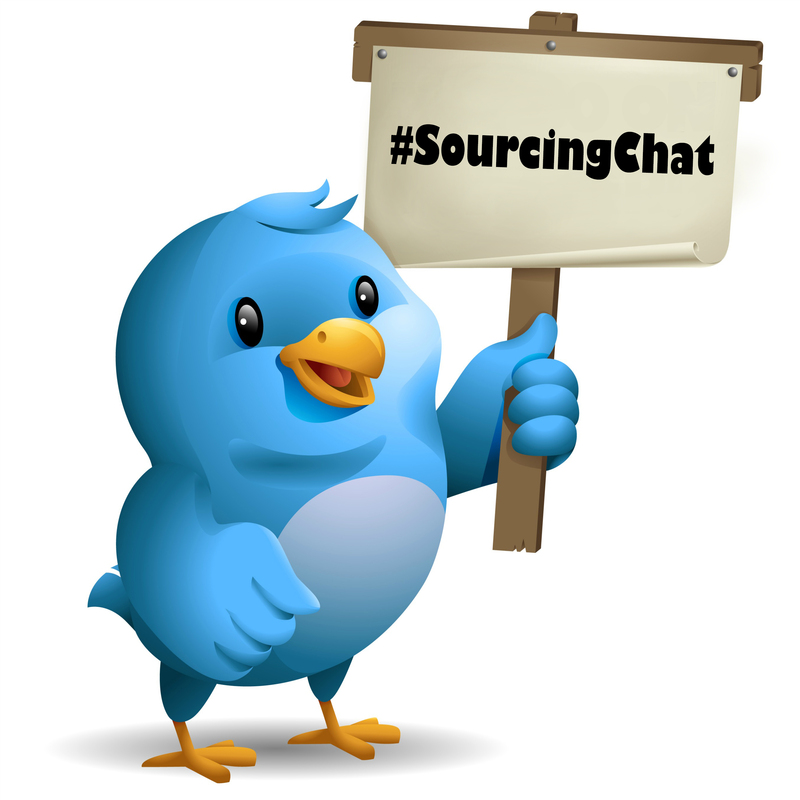 Hence, the popular #SourcingChat focussed on these aspects and only the Top Tweets of the #SourcingChat is listed out due to popular vote for Top Tweets only but you can view the #Storify to know more. Q.3 Do you prefer giving the feedback personally (Call/Email) or through automated system? Q.4 How feasible is to give feedback to every candidate personally in volume hiring? same skills. tell it in the way they understand. A5 While Rejecting due 2 skill gap i always try to give feedback on the spot or over the phone later. Well this brings us to the end of another great #SourcingChat and we hope you’ve enjoyed it just as much as we’ve enjoyed conducting it. If you’ve found this #SourcingChat informative and would like to be a part of it then be sure to follow us @SourcingAdda for updates to our upcoming activities. As Talent Acquisitionist’s we’ve heard so much about Candidate experience being important for Employer Branding. We’ve even spoken about Candidate Experience at our most recent annual event #TASCON16 but have you ever wondered whether a flexible Date of Joining (DoJ) could hold the key to making exceptional hires having the calibre we need. Based on the discussion above we can conclude that a flexible DOJ might be the key to unlocking the door to an improved Candidate Experience which can boost Employer Branding with a satisfied Candidate. Sometimes it’s the small things that don’t quite seem relevant or important but can have a drastic impact on the things that matter to us more. Hope this discussion answered some of the questions that you may have had. In the meantime if you’re feeling left out then follow @SourcingAdda to get the latest updates to our upcoming events in real time and become a part of these popular Wednesday Discussions to add to your knowledge.